I saw this artist's work at PFAC today! Day Off. Acrylic on paper. 2000. Gloria Coker has a BA in psychology and a Masters from William and Mary for Counseling and Guidance, but now devotes her time to art. Coker is a local artist of Newport News. She has been exhibited in galleries from Virginia and North Carolina to California and Canada. Much of Gloria Coker's work is figural in subject. She is known for her depictions of dancers and musicians or people doing everyday things. Coker works in acrylics, using a wide variety of color. 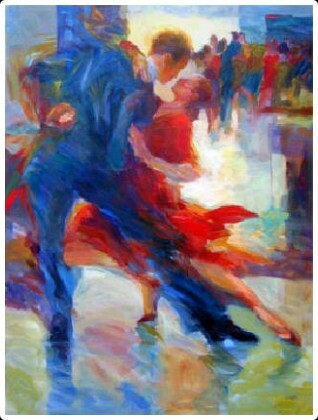 There is also a lot of movement through her brushstrokes. Dukes Place II. Acrylic on canvas. 2005. 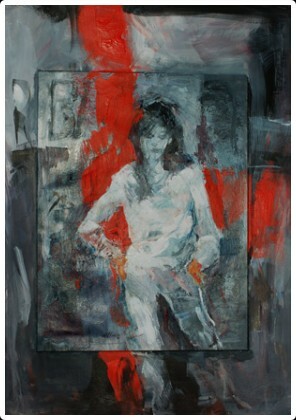 The use of color in her work is very vibrant with a lot of movement that brings her subjects to life. 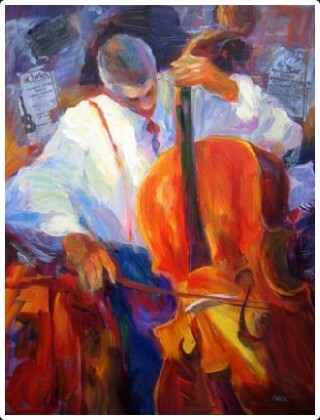 Through Gloria Coker's art you can feel the passion of her subjects. There is often an emotive quality of excitement that I get from her work which I love. You can see more of Gloria Coker's paintings at her website here.